Having failed to make a lasting imprint at Arsenal, the Daily Mail understands that Lucas Perez is supposedly close to completing a £10m switch to London-based rivals West Ham United, as it’s said that the discarded Spaniard is keen to remain a Premier League professional, despite only featuring in a mere handful of top-flight encounters for the Gunners. Perez, 29, joined the north-Londoners from La Liga outfit Deportivo La Coruna in the summer of 2016 for an alleged £17m figure and was initially regarded as a potent marksman, although adapting to the pressures and expectations within the English game troubled the diminutive attacker, and he was subsequently loaned back to Deportivo for the 2017-18 campaign. Arsenal travelled to Singapore to compete in the International Champions Cup and Perez, who was indeed included in the club’s pre-season brigade, appeared as though he may have had a future at the Emirates under Unai Emery, who would presumably be aware of the dormant qualities Perez has at his disposal having formally guided Sevilla FC in the technical area. But with the English transfer window set to slam shut on Thursday, Perez understands that he’ll have to head for pastures new fairly swiftly if he’s to resurrect his reputation, and an imminent switch to the Hammers would undoubtedly rejuvenate his stagnated career in the capital. The Irons have lofty aspirations of their own for the 2018-19 season and after landing Jack Wilshere from Arsenal on a free transfer earlier in the transfer period, the east-Londoners will be assuredly confident that they can strike another deal with Perez’s current employers. 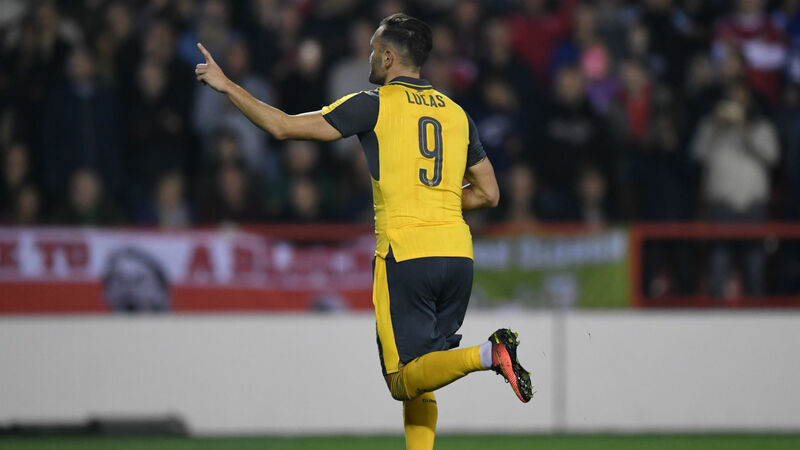 Share the post "Discarded Arsenal striker close to £10m switch to West Ham United"